The Digital Humanities Committee has announced the 2018 DH Faculty Fellows awards for “Building Core Competencies in the Digital Humanities.” Seven faculty members from across the university will participate as Fellows this year. Studies have shown a direct correlation between being a successful leader and being an effective communicator. In today’s increasingly complex, often decentralized, global and digital world, the need for strategic leadership communication, at all levels, has never been more critical to the success of an organization. This grant will allow Ms. Gifis to develop a course website where students will publish digital media that examines some of the wide ranges of communication situations modern leaders could encounter through analysis of previous historical and current leaders; developing, writing and delivering speeches; use of persuasion, power and influence; understanding social media networks; ethical communication choices; crisis and change communication; and working in teams. Graphic designers are responsible for creating the majority of visual communication consumed. This includes critical information needed to live a comfortable life such as signage navigating public spaces and digital and printed educational materials. When produced mindfully, design is inclusive of all abilities and disabilities; however, groups of people are frequently excluded because of a designer’s lack of knowledge in accessible best practices. The Faculty Fellows grant will allow Prof. Lhowe to develop a series of user-centered projects meeting universal design requirements. The projects will focus on print, environment, and web design. To identify needs and ensure usability, students will conduct interviews and work directly with people that have limitations. The interviews, process, and final projects will be archived on a website – creating a database of user-tested universal design case studies. The website and course projects will have a broader impact by serving as a toolkit for the graphic design community–including in classrooms, design studios, in-house design teams, and independent designers. Future potential collaborations with student and faculty include game design, web design, health sciences, and education. When given the right tools, students and designers will be in a position to create a more inclusive society. settings such as archives, historical societies, and museums. Ms. Mita will develop course projects where students will learn how Digital Humanities and Public History intersect, how to select and use cultural heritage materials to tell a story, and how to use Digital Humanities applications both to mediate storytelling between cultural heritage institutions and the general public and to enhance user engagement and participation in the study of history in non-academic settings. Prof. Opderbeck will develop a class project that would apply digital humanities tools to legal codes, statutes, judicial opinions, and other sources of positive law. The overarching purpose would be to encourage students to use digital tools to gather relevant legal and related cultural texts and materials, render them into searchable and machine-readable format, and perform data visualizations and other analyses to demonstrate connections between the legal texts and broader historical and cultural events. A final project might involve creating a website collecting the resources and displaying the analytic results. Prof. Scherreik will use this fellowship to continue the current Seed Grant Project to launch a web-based student mentoring system designed to broaden the university’s entrepreneurship eco-system both within the university and also in the broader community. There is a strong need for this mentoring program, which will help to broaden the University entrepreneurship eco-system. This mentoring program can be the first step toward offering Humanities and other students outside of Stillman exposure to entrepreneurship education. Through this grant a Digital Humanities component will be developed for the course, Catholic Theology of Science, a core Engaging the World (ETW) listing and discipline-specific “signature” course that links the principles of the Catholic intellectual tradition to the degree curricula. The course explores the integration of science and religion. It has scientific, philosophical, theological, ethical, and historical components. Students read from a variety of sources to learn about the role of Christianity in the development of modern science and how future science can be guided in the light of faith. Students analyze texts from ancient religions, various theologians, and recent popes, and they compose weekly essays to summarize their insights about what they have learned. The course is, therefore, poised to include a digital humanities component. The students are asked to become educated about different perspectives and to form their own opinion carefully. It would make sense to add a Digital Humanities assignment in which the students, under guidance from the professor, create digital narratives to be published on a dedicated website to showcase the products of the course. By writing for more readers than a single professor, the students will add their voice to the ongoing science and theology dialogue. They will gain leadership experience. Over time, the website itself will serve as a resource for other students. In this way, the course takes on its own organic growth as ideas progress. Prof. Yacoubi will use this fellowship to continue the current Seed Grant Project on the Digitization of the Seton Hall Qur’an manuscript. The focus will be to be able to share the outcome of the ongoing process of digitization and crowdsourcing with his upper-level Arabic: Fourth Year Arabic II students. The course project focus will be to study closely the calligraphic, artistic and linguistic aspects/ merits of the Qur’an manuscript, which is now fully digitized. Using the Qur’an project as the main material for the study will train students to do at least two things: 1. to understand the process by which the manuscript has been digitized and then crowdsourced for analysis and interpretation and 2. to actually allow them to digitally read through the manuscript to study and understand its marginalia, artistic, linguistic and calligraphic aspects within the context of digital humanities. Students of the Arabic language at this most advanced level will have a chance to deepen their appreciation of Islamic textual cultures but be able to do so by developing a practical understanding of digital humanities and the interplay between literature/ text and technology. The work of the DH Committee and the DH Seed Grants are supported by the Provost’s Office and the Teaching, Learning, and Technology Center. 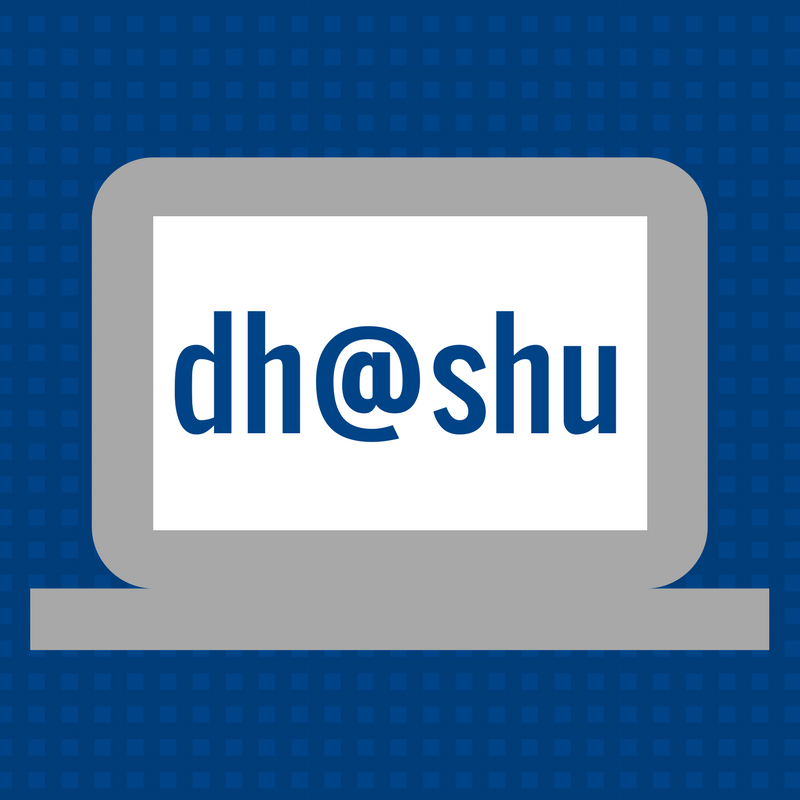 Follow the Digital Humanities Blog and the Technology Blog for the latest information on all things Digital Humanities and Teaching, Learning and Technology.